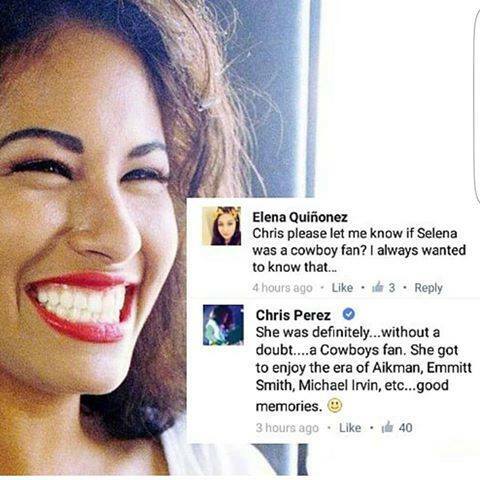 In a Facebook comment on his fan page, Chris Perez, widower of Tejano pop star Selena, admits that she was a huge Dallas Cowboys fan. This revelation is surely to stoke rivalry between Houston and Dallas fans since her last concert was performed at Houston’s Astrodome. According to Wikipedia, that concert held the record for the largest crowd in the history of the Houston Astrodome until April 1, 2001. All Tejanos should be proud of her nonetheless.